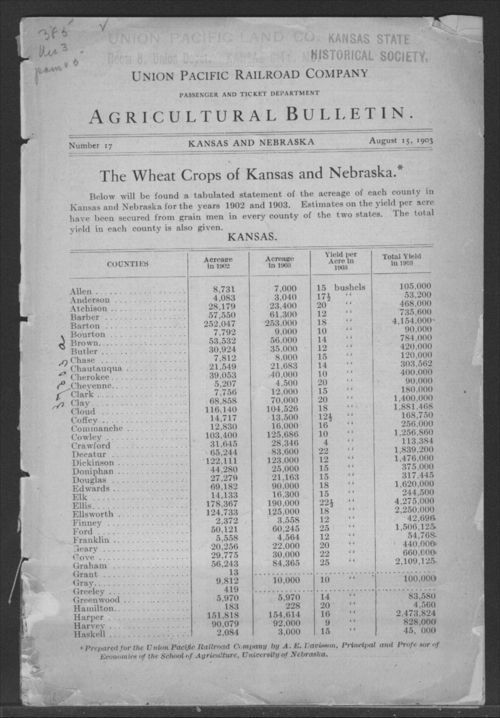 This Union Pacific Railroad agricultural bulletin shows statistical crop yields for all the Kansas counties for the years 1902 and 1903. Copied form Union Pacific Railroad Company Agricultural Bulletin (No. 17).